To connect with prospects and customers at a trade show, your exhibit booth needs to make a bold statement. There’s no better way to stand out from the crowd than with a rental booth from ExpoMarketing. We have been providing San Jose area companies with a cost-effective alternative to booth ownership for 25 years. Our award-winning designs are regularly rented by exhibitors in virtually every industry, and we carry one of the largest booth rental inventories in the U.S. No matter what your business, ExpoMarketing can provide you with a trade show booth that delivers a custom-built look and feel without the high cost of ownership. Having a professional-grade trade show display is essential for increasing traffic to your booth and drawing attention to your business and brand. 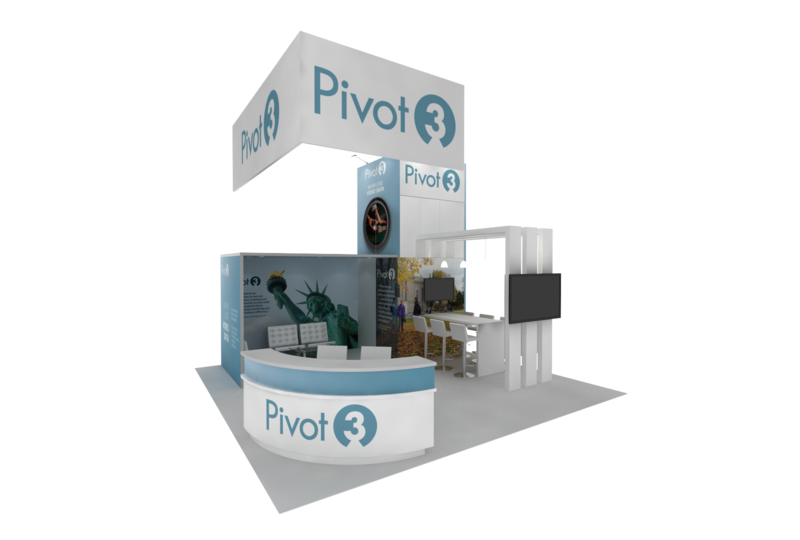 Our expert designers take the time to understand your company’s exhibit goals and objectives. Then they design and build an eye-popping booth that presents your brand with style and flair. Renting a San Jose display booth also gives you the flexibility to change booth sizes. It reduces expensive labor shipping and drayage costs. And it can help you avoid extra fees for maintenance, refurbishment, pull and prep, and storage. Easier on your budget and your staff, renting a booth for your next San Jose trade show is the logical choice. The convention center’s convenient downtown location puts it within two blocks of a variety of major hotels and more than 100 dining and nightlife options. Only four miles away from the newly modernized San Jose International Airport, the convention center also provides easy access for out of town visitors. ExpoMarketing rents everything you need to stage a successful exhibit – from furniture, flooring, and lighting to A/V equipment and more. Make your next trade show display in San Jose one to remember by connecting with the ExpoMarketing team today. Our fantastic customer service, fast turnaround, and large selection of trade show display rentals are sure to make your upcoming trade show a big hit.